1st floor apartment (46 sq.m.) for 4 people. 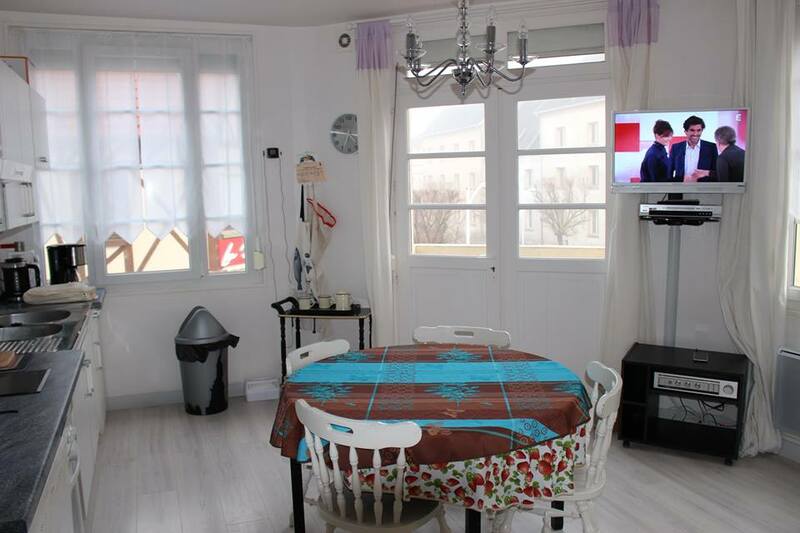 Ideally located on the Avenue de la Plage, near all shops/services. Living room (TV, hi-fi, DVD player). Fitted kitchen (oven, microwave, fridge-freezer, dishwasher). 2 bedrooms (double bed) (2 single bunks). Bathroom, separate WC.|WIFI. Free parking space(s) near property.